Published July 14th, 2010	in Misc. RGE EconoMonitor by Nouriel Roubini: It looks as if the global economy is heading for a serious slowdown this year. Emergency austerity programs in some countries will put a drag on growth. Inventory adjustments will run their course. The effects of tax policies that steal demand from the future – such as the U.S. “cash for clunkers” scheme, tax credits for home buyers or cash for green appliances – will fizzle out. Labor market conditions will remain weak. The slow and painful deleveraging of balance sheets and income-challenged households, financial institutions and governments will continue. INTC – v strong earnings for June Q + Sept outlook; key takeaways: 1) inventories up both on absolute basis and days; however, mgmt says very comfortable w/inventory overall and that channel inventories saw a marked decline; 2) mgmt says China + Europe started Q slow but finished strong; 3) mgmt was upbeat on enterprise and SMB (while consumer was seasonal) – corporations now buying in addition to consumers; 4) v bullish comments on new Sandybridge. 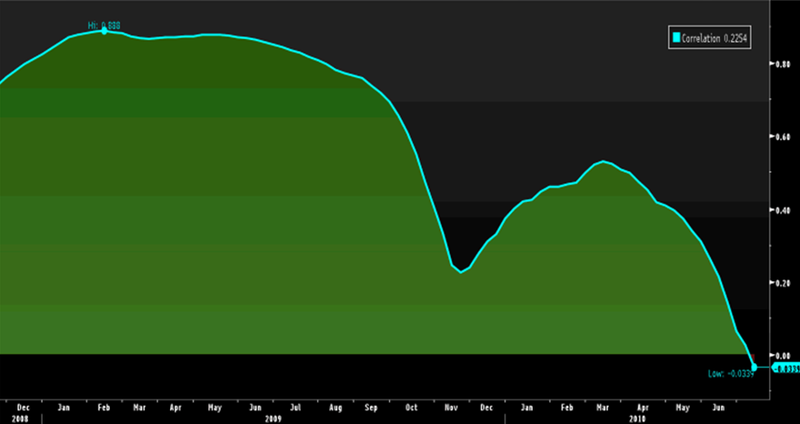 – Signs of Capex coming alive as corporations get off their hands and spend the record cash levels, which are earning a donut in money markets. YUM – Reports Q210 Earnings, Shares trading off 3.5% after the close as Q beats but China SSS fall short of elevated expectations and FY guidance was raised (+12% eps growth vs. prev. at least 10%) but falls shy of the St.’s +14% expectation. EXPD - transports - co preannounces to the upside. Sees EPS 0.38-0.40 (vs. the St 0.30). “We’ve experienced very significant year-over-year volume increases in both our airfreight and ocean freight business,” EXPD’s upside preannouncement follows pos. news out of other transports cos (in Europe, Maersk and Hapag Lloyd both had pos. earnings revisions in recent days). 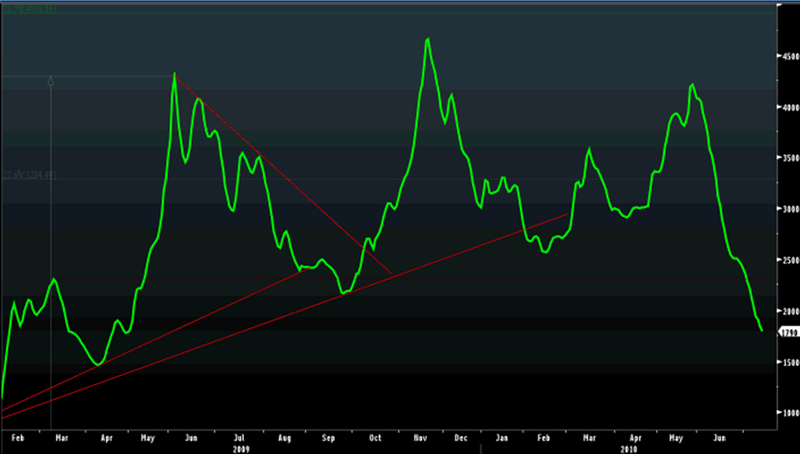 – Yet the Baltic Dry Index continues its plummet to new depths.